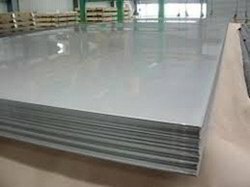 Prominent & Leading Manufacturer from Mumbai, we offer super duplex plates and super duplex sheets. Assisted by a crew of well-informed workers, we have been involved in providing a world-class collection of Duplex Stainless Steel Coils. The material used in their manufacturing process is of supreme quality and is examined before getting used in the manufacturing process. Along with this, owing to their industry approved designs and light weight, these are enormously in demand and appreciated throughout the nation. 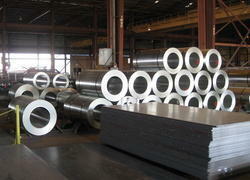 All material super duplex steel plates available with Mill Test Certificate. We have marked a special niche in the global market by offering superior quality Super Duplex Sheets. Owing to their sturdy construction, seamless finish and resistance against corrosion, these products are highly demanded. The offered product is developed using high-quality stainless steel with the help of modern technology.